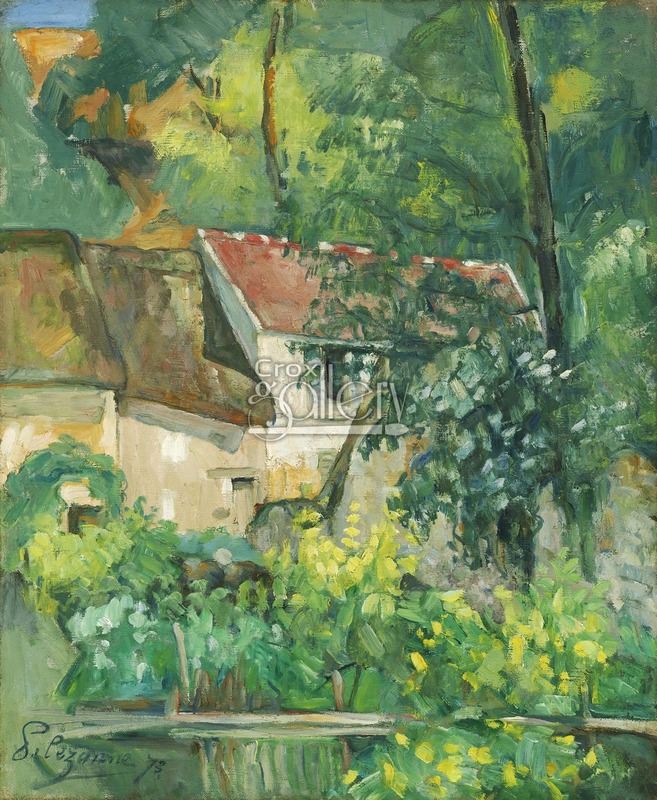 "Pierre Lacroix's House" by Cezanne, Oil Painting Reproduction. 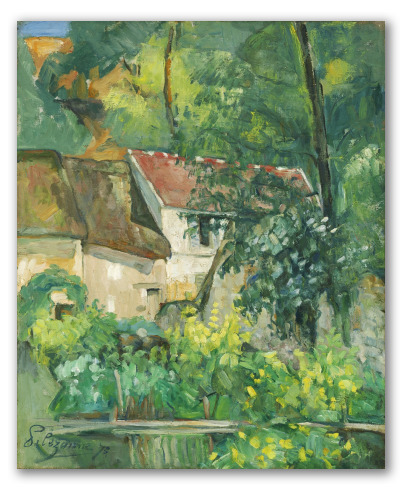 In this painting, we can see a house hidden behind the generous foliage of some trees. The thick and wavy brushstrokes suggest we have the privilege of viewing a high quality post-impressionist work of art.